Wi-Fi 6, also known as 802.11ax, is viewed by many to be game changing, as it’s the first major architectural change to the wireless LAN since its inception. 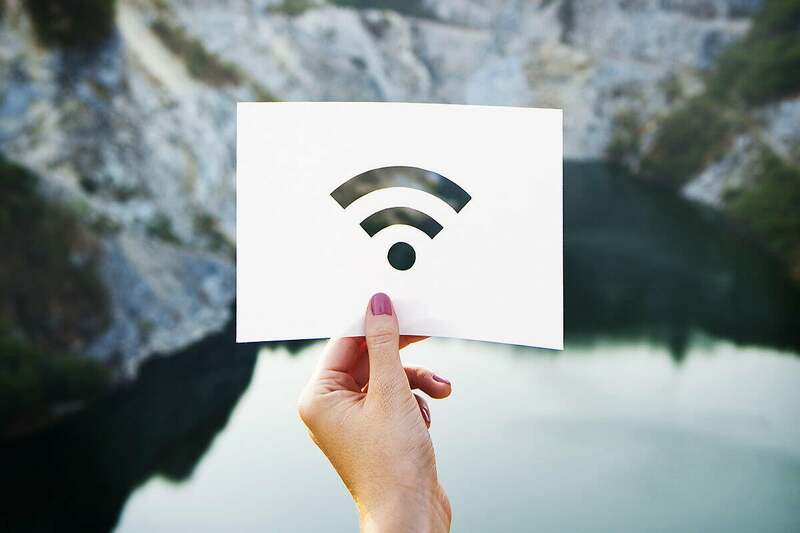 Unlike other standards, which were just faster versions of the previous incarnation, Wi-Fi 6 is built from the ground up to support a world that is hyper-connected over Wi-Fi. To accomplish this, Wi-Fi 6 includes several new features and design enhancements. Many industry people I have discussed Wi-Fi 6 with believe the most important new feature is something called orthogonal frequency division multiple access (OFDMA), which allows multiple clients with varying bandwidth requirements to be connected to a single AP simultaneously. In actuality, a feature called orthogonal frequency division multiplexing (OFDM) does exist in older versions of Wi-Fi, but it was only for single transmissions. Wi-Fi 6 access points (APs) will be backwards-compatible and support OFDMA and OFDM. OFDMA takes a Wi-Fi channel and divides it into smaller frequency allocations known as resource units (RUs). This enables an AP to communicate with multiple clients by assigning them to specific RUs. Also, by subdividing the channel, applications that use small frames, such as video or audio streaming, can be transmitted to multiple endpoints simultaneously, which cuts down on overhead and congestion at layer two, improving application performance. OFDMA is highly flexible and can allocate the entire channel to a single client or sub-divide, depending on traffic. OFDMA should alleviate much of the unpredictability users experience in highly congested areas. Consider a case where a person arrives several hours early to an airport gate and is one of only a few people in a small area. The user connects, watches something on Netflix, and sends out Tweets to their followers. Over time, the gate area gets crowded and the network becomes unusable. The most likely cause of this isn’t bandwidth, but congestion from too many users. OFDMA will take care of this problem by enabling more clients to connect to a single AP simultaneously. Technically what’s happening is that the channels are dividing up into subcarriers through some fancy mathematical functions. The spacing of these subcarriers is orthogonal (hence the O in OFDMA) preventing interference with subcarriers. With Wi-Fi 5, a 20 MHz channel consists of 64 312.5 kHz subcarriers with all of them being used to transmit data to a single client. Wi-Fi 6 operates differently and lets the space shrink from 312.5 kHz to 78.125 kHz, allowing for the number of subcarriers to increase to 256. The subcarriers are grouped into RUs, so an AP can subdivide a 20 MHz channel into 26, 52, 106, and 242 RUs. It’s important to note that the AP controls how many RUs are used, as well as different combinations. For example, the AP can allocate the entire channel to serve one client, or it can partition the channel to communicate with multiple ones. This means the AP could communicate with one client over an 8 MHz sub-channel and then three others at 5 MHz, assuming all of the clients are Wi-Fi 6 capable. In addition to the 20 MHz channel, Wi-Fi 6 can partition 40, 80, and 160 MHz channels. Most businesses will configure the APs with 20 MHz channels, enabling up to nine clients to connect to an AP at once. In general, narrower channels are preferred to limit performance and reliability problems by minimizing channel interference. Theoretically, 74 clients could connect to a single AP, but this would be the exception more than the norm. The higher throughput combined with a more efficient network will enable businesses to run applications on Wi-Fi 6 that could not be run on wireless before. Video is typically used as an example, which is valid given 4k video has now arrived. More interesting use cases are immersive applications driven by virtual reality. What was once something for gamers is now being used in industrial design, retail, healthcare, and a number of other verticals. Wi-Fi 6 will open a world of new possibilities and OFDMA capability plays a key role in making this possible.